Our new house, like many houses, is full of stuff. Some good stuff, some junky stuff. Stuff that needs to find a home. Inspired by vintage metal locker systems I have seen, I decided to build a cubby storage system to hide all the crap we have laying around. The frame accommodates nine, standard 12" x 12" cubbies. Its pretty quick to build and can be put together with off-the-shelf lumber. If you are interested in building the frame, click over to BuildSomething.com to find the free building plans I shared over there. To learn how to build the cubbies themselves, just keep scrolling. 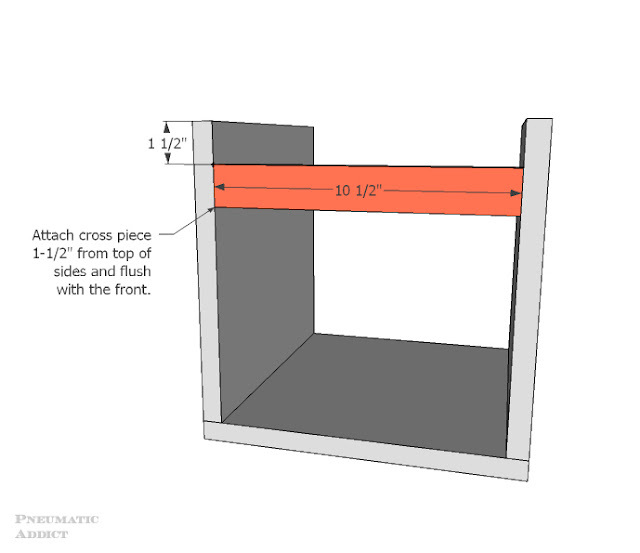 (2) 1 x 12 x 96"
(1) 1 x 12 x 72"
(18) 1 x 12 @ 12-1/2"
(9) 1 x 2 @ 10-1/2"
1. 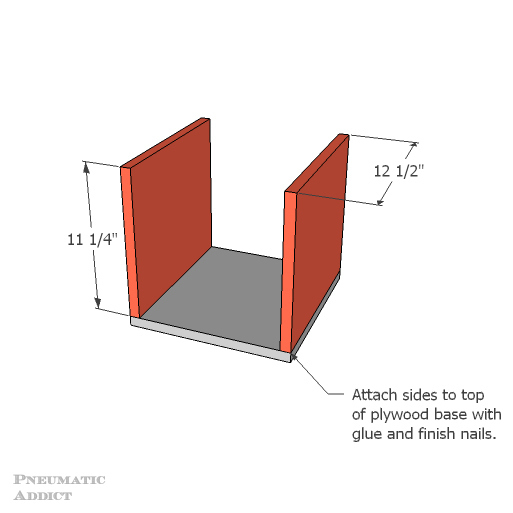 Start by cutting your plywood and 1 x 12 pieces to size. If you don't have a table saw, both Lowe's and Home Depot will cut sheets of plywood to size for you. 2. Aline the long sides of the 1 x 12 pieces vertically, on top of the plywood. Attach with wood glue and 2" finish nails. 3. Measure 1-1/2" from the top edge of the side pieces and make pencil mark. Align the top edge of a 1 x 2 cross piece with the mark, between the sides. Secure with glue and 2" finish nails driven through the sides and into the ends. At this point, I painted the wood frames with 2 coats of a hammered texture spray paint and allowed to dry. 4. Time to attach the metal sheets to the front and back. In most Home Depot stores, you will find a section of decorative metal panels. 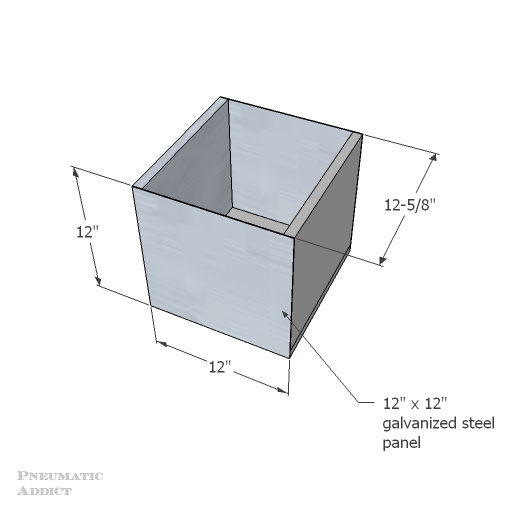 You could make these cubbies with just about any kind of 12 x 12 panels, but I chose 28-gauge galvanized steel sheets. 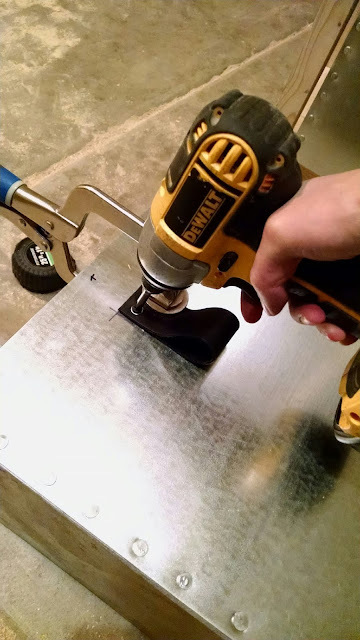 Pre-drill multiple, evenly spaced holes about 3/8" from the sides of the metal panels. Align the panels on the wood frame. Mount with E6000 glue and hand drive roofing nails through pre-drilled holes. 5. 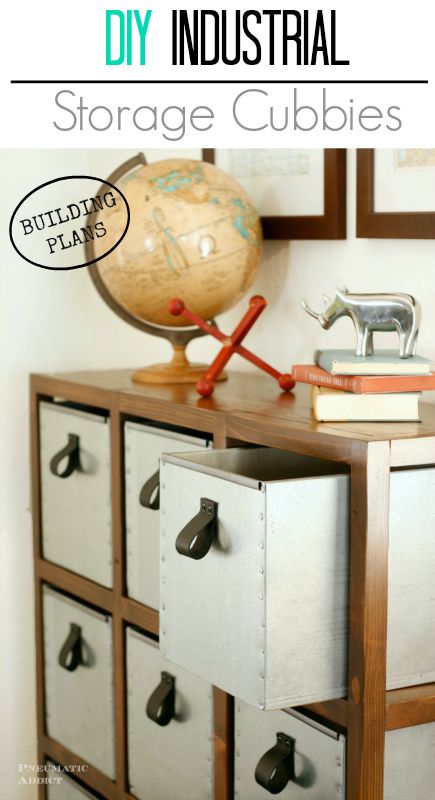 With the basic cubby built, you will probably want to add hardware for added style and function. I made simple pulls from pieces of black leather strap, wood screws, and washers. 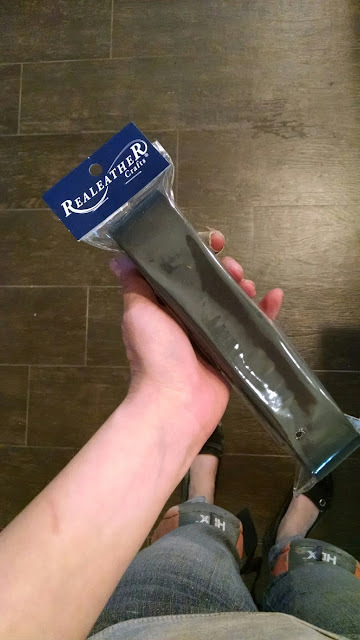 I found 1-1/2" wide leather straps at Joann Fabric for $14. I needed two packages, but was able to use a 40% off coupon on both, so it came out to be around $16 total. 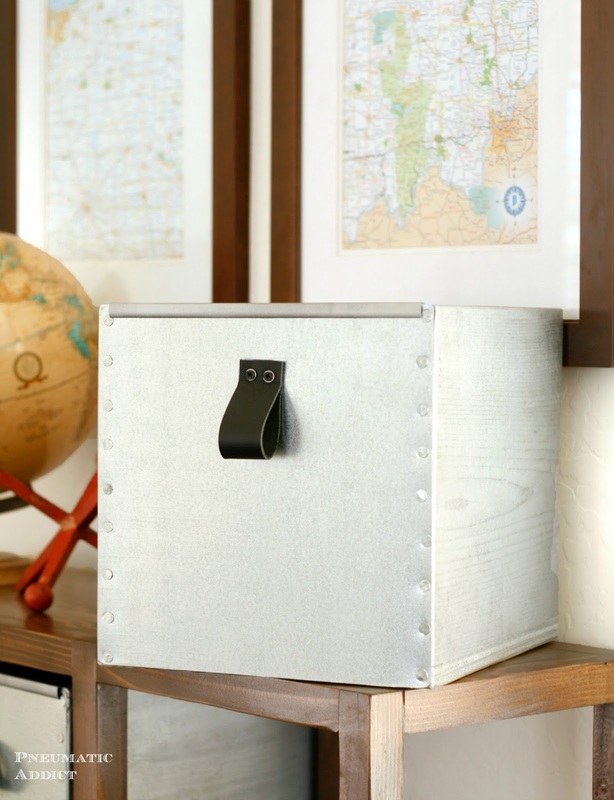 The 1 x 2 cross piece not only gives strength to the cubbie's structure, it gives you a place to mount hardware. I measured where I wanted my pulls to be placed, pre-drilled through the folded over leather and metal, and drove 3/4" wood screws through #8 washers. 6. Although I did use an angle grinder to soften the edges of my metal panels, they still are pretty thin and could be dangerous. To cover the expose top edge, I came up with kinda a quirky idea. Enter plastic report covers. 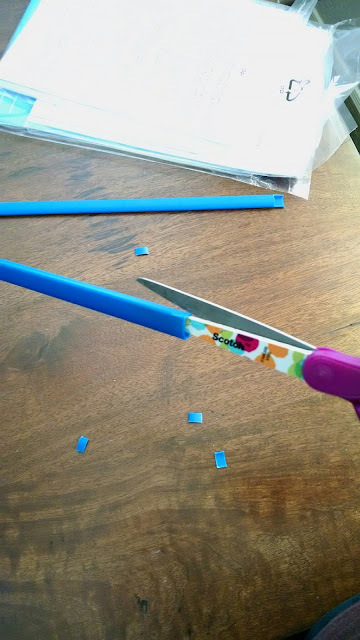 I had to trim about 1/4" from the backside of the spine on each end. I then gave the spines a couple coats of a metallic spray paint. Once the paint was dry, I could slide them onto the sharp edges of the metal panels and I was good to go! 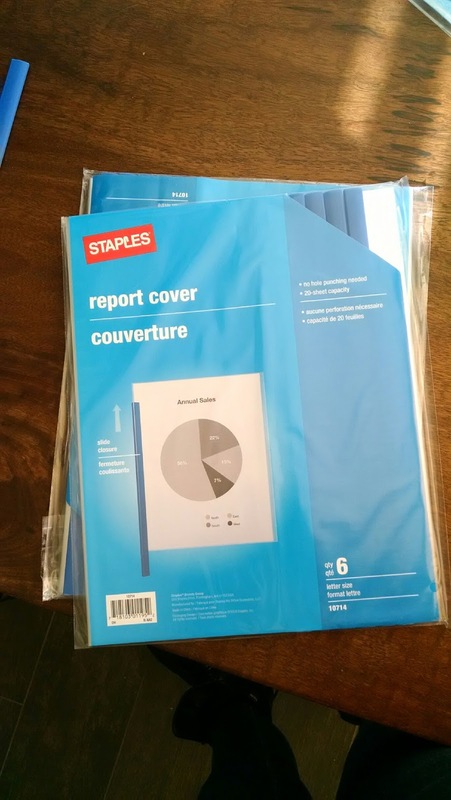 The report cover spines hold themselves in place and protect hands from the thin metal. I built my cubbies to fit inside my Industrial Cubby Storage frame, but they would work almost anywhere. I think a set of cubbies like this would be perfect in a mudroom, or they are even deep enough to hold 8-1/2" x 11" sheets of paper. 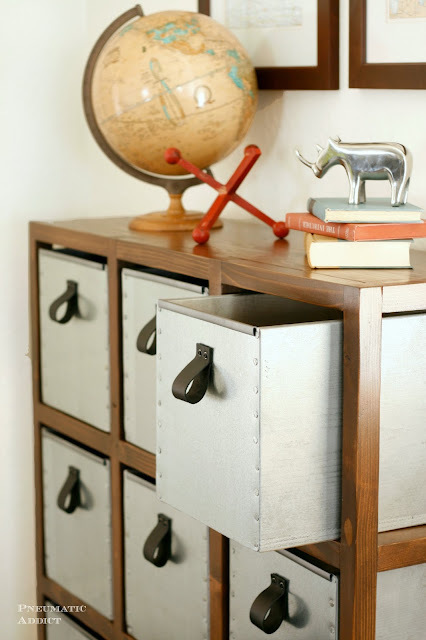 My storage cubbies are staying in my living room to help corral the constant supply of junk that floats around the house. Make sure to stop by BuildSomething.com to find the plans to make my Industry Cubby Storage, as well as just about anything else you might want to build. Feel free to pin the image below and save the idea for later! 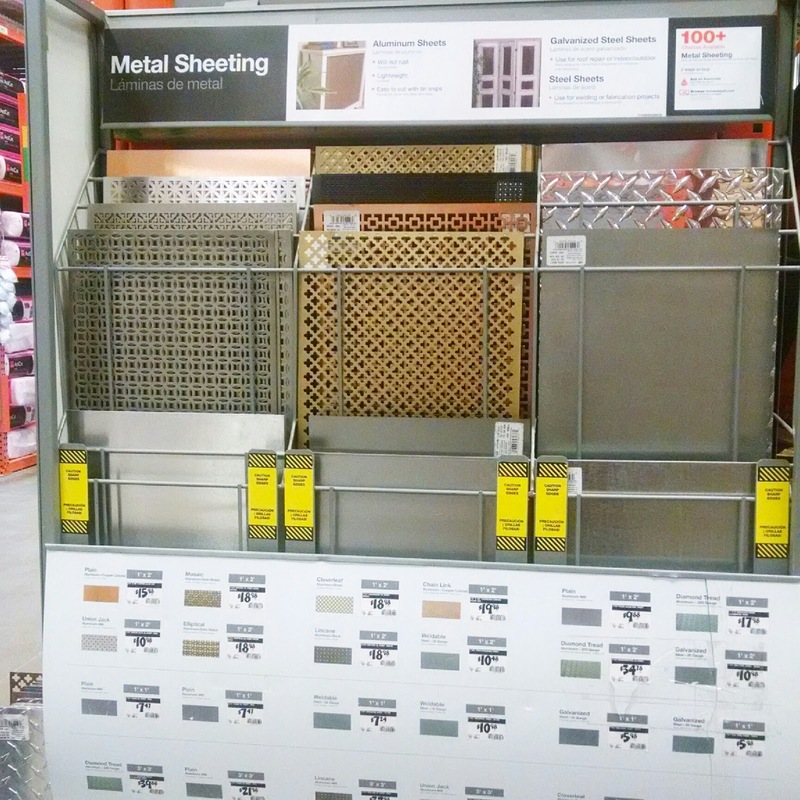 *This post contains affiliate links and sponsored content by BuildSomething.com . All content is original and has not been influenced. I couldn't have seen your post at a better time. 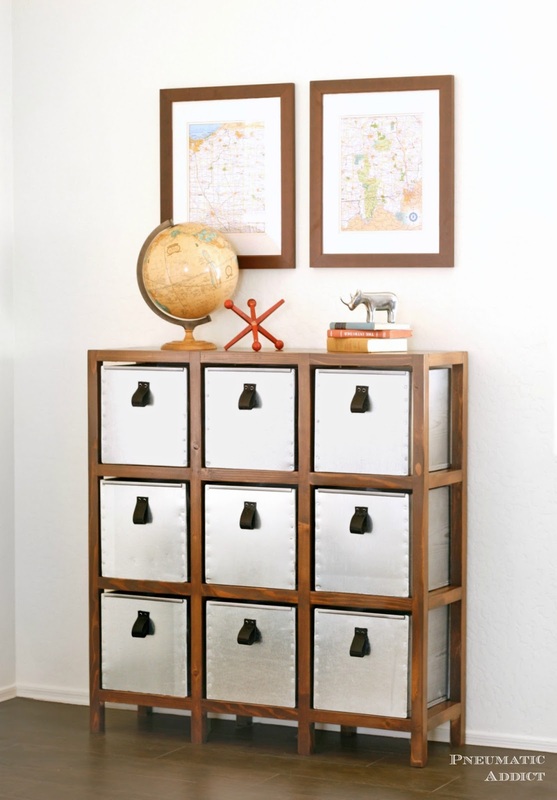 I want to build a similar but on a smaller scale cabinet to store our CD's and DVD's. 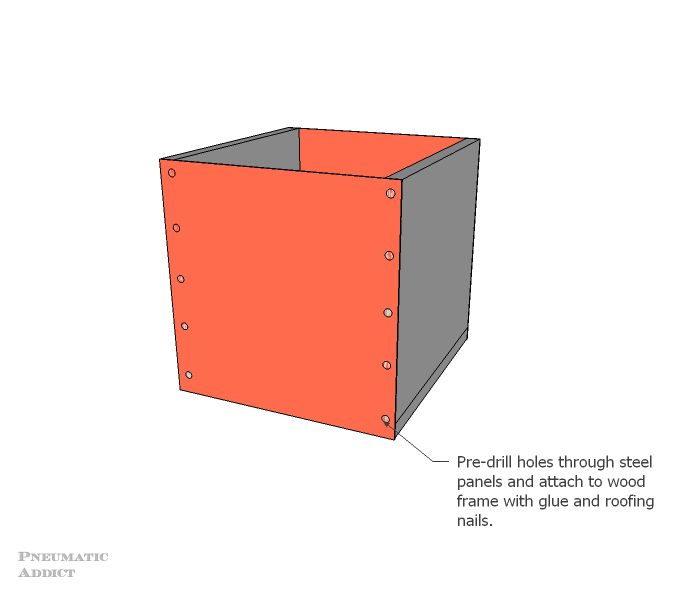 Was still in the planning stages but thanks to your awesome diagrams and tutorial, I know how I'll be building it now. Pinning to share!